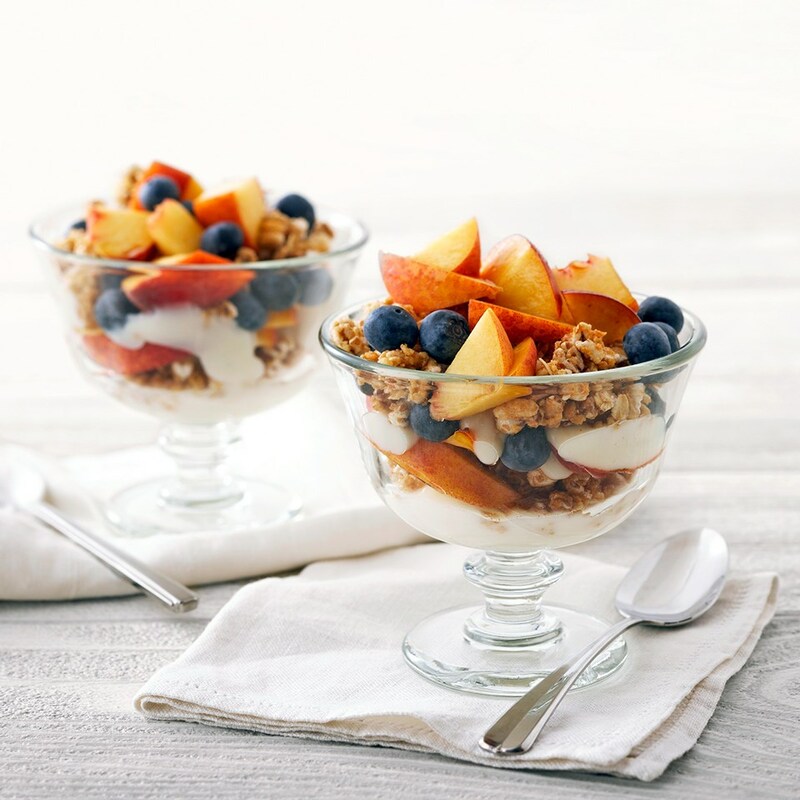 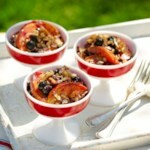 Layers of flavored yogurt, crunchy cereal, peach, and blueberries in a parfait glass make a quick but satisfying breakfast or snack. 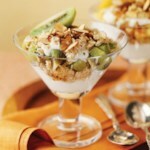 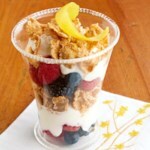 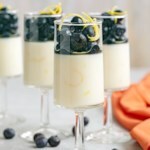 Divide half of the yogurt between two dessert glasses or bowls; top with half of the cereal. 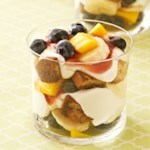 Top with half of the peaches, half or the blueberries, and the cinnamon. 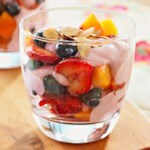 Repeat layers with the remaining yogurt, cereal, peaches, and blueberries.